Tasteful Home on 1 Acre - 5 Minutes to Lifts! On the main floor there is a master bedroom about 12x10 with a queen bed directly across from the bath room. The upstairs bedroom is large 21X14 foot loft. There is enough sleeping in the upstairs bedroom for 5 persons - Two twin beds. One full bed. One queen bed: an open dorm setting. All but one twin beds are high/good quality and nearly new. 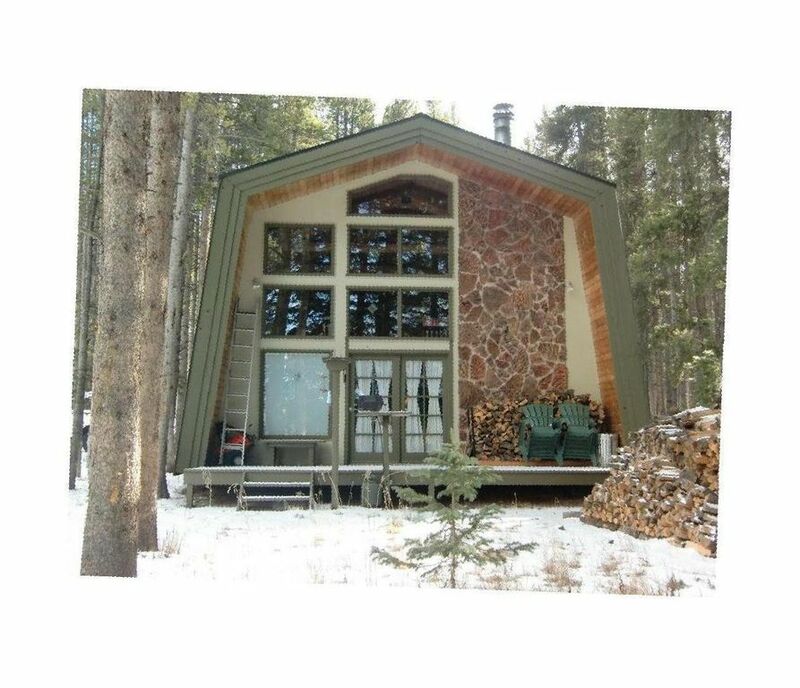 This very pleasant home is located four miles south of 'Breckenridge'. Situated in a wooded riverside setting on one acre, 'cross country skiing' is right out of the front door on the riverfront down stream one mile to a private lake. All private property. In summer a bike path begins just a few hundred yards from the home and allows biking to Breckenridge, 'Copper Mountain', and 'Vail'. The home is privately owned and managed by the owner. The home is kept very clean and well supplied. For those busier guests some shopping and supplying of food items can be done in advance for a small fee. If you are seeking value and lodging that will get you away from the hassles of the main resort this is the place for you. 'No Pets' allowed and 'No Smoking' allowed please. (2) One 10 cu ft refrigerator One under counter beverage refrig.